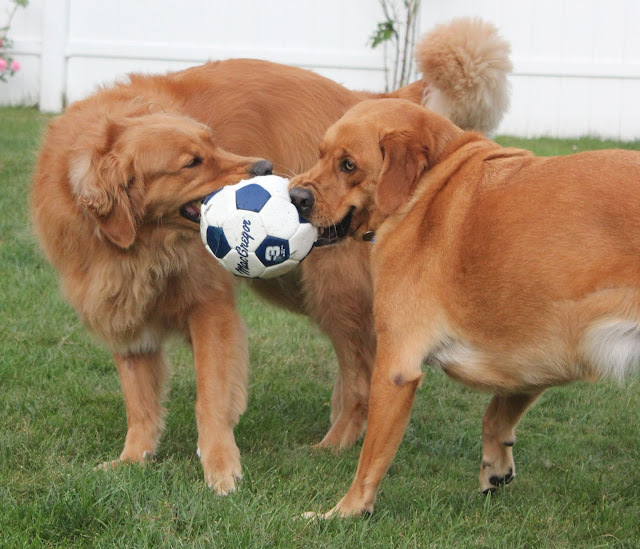 Ok pups, we've been practicing all day and we are going to be putting together a little pick up game of Soccer. I'll be right over as soon as I dig up my bones. Looks like you had a great game day. We agree it looks like you had a fun day. Have a marvellous Monday. Monty and Harlow are in! Oh, I am SO in!!!! I'll bring my soccer ball too! (well, what's left of it anyhu....) and we can have a pawsome game! !